(www.merrybreezelakehouse.com) The Merry Breeze Lake House is a 3-bedroom, 2.5 bath year-round home. It is located on a single lane cottage road with very little traffic. Sturgeon Bay is a short drive north. 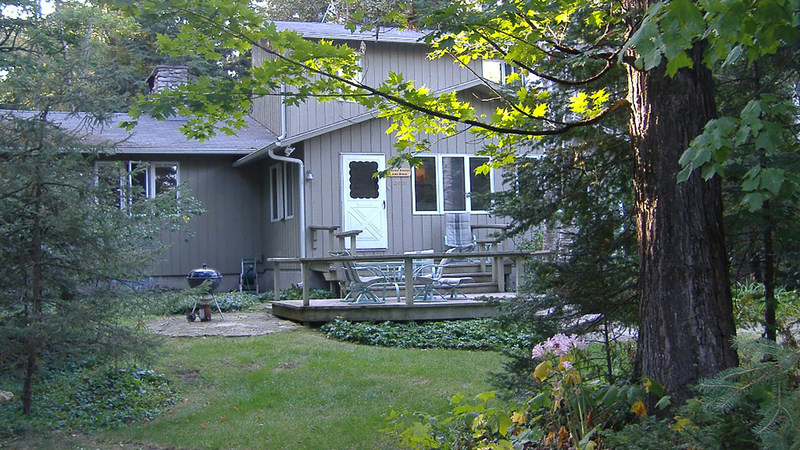 The property is wooded and includes 220 of sand beach on Lake Michigan. Approximately 1 mile of sand beach is available to walk. The house is set back 200 from the beach in a birch/hemlock woods. Bikes are provided and the immediate area has little traffic and scenic roads.All linens are provided, and the kitchen is fully stocked. Gas and charcoal are provided for the grills and firewood is provided for the fireplace.A portable firepit is furnished for campfires, conditions permitting. We clean the house ourselves and take pride in its cleanliness. Thank you for considering the Merry Breeze Lake House for your vacation!